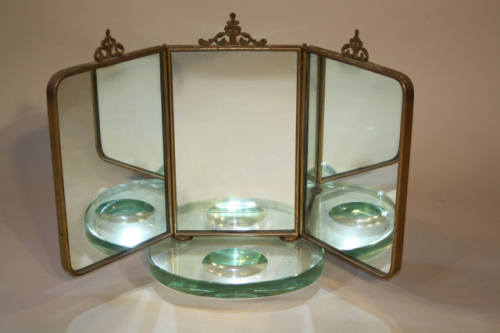 Very unusual Italian c1950`s triptych dressing table mirror on very thick glass base. Original condition with slight age to gold metal frame and scratches to the base of the thick glass bottom consistent with use. A lovely charming piece.